For the last couple of weeks we have been chatting to lots of our corporate & finance clients regarding their events & printing this year. We love to work with corporate, trust & finance clients as they always know exactly what they want & most have pretty strict guidelines for branding & printing which means everything from font to colour need to exact. Our Pantone matching service is always very handy for clients that have all their branding in place & require exact matches for colour. 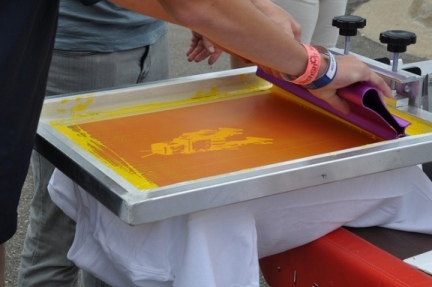 We offer a full colour matching service for all our screen-printing which means the colour will be exactly on brand when they are printed ensuring consistency across all printed media. We love working on new ideas and designs for clients and this year we have lots of team building events, corporate giveaway printing & sports events that are sponsored which require printed promotional items & merchandise. Tote bags are popular for giveaways for our clients as they are in-expensive & quick to print. There is a massive choice of tote bags available in loads of styles and over 40 colours. We supply these to businesses & charities in Jersey & across the Channel Islands. If you would like anymore info on our corporate promotional printing. giveaways, merchandise or printing for your event just get in touch.